A wedding ceremony, whether it is a quaint gathering or grand affair, is always an accomplishment for the couple. But for those moving into a new home, what transpires after the wedding bells stop ringing can be a test. Couples who lived together before getting hitched have some advantage, while newlyweds who previously lived apart face an extra challenge: merging two homes. But no matter the circumstances of the move, using these tips from UF Mover Guys will ensure your first move as a married couple will be just as satisfying as your wedding night (or at least close to it). In most moves, the emphasis is on relocating the contents of one home, but newly married couples might have the added step of consolidating their personal belongings first. Thus, for newlyweds who lived separately but now plan to merge their homes, our Gainesville movers suggest following a set process. Newlyweds coming from separate homes may need to plan for two moving jobs in order to transport the contents of each spouse’s previous home to the couple’s new home. When scheduling services from a moving company, people are advised to book at least three months in advance. Not only does scheduling in advance ensure the movers are available when needed, but it can take a few months for couples to prepare for a move. The first preparation for couples who are consolidating two households is for each spouse to take an inventory of his or her personal belongings. In Florida movers compile inventory lists of items in a home while packing in order to verify later that all items arrived at the new home. But for a couple who is moving, inventory lists also offer a helpful perspective for making decisions about what personal items should be kept or done away with. In order to reduce the time and costs associated with hiring movers, homeowners often downsize their personal property before a move. The fewer items there are to pack and relocate, the smaller the moving job becomes. 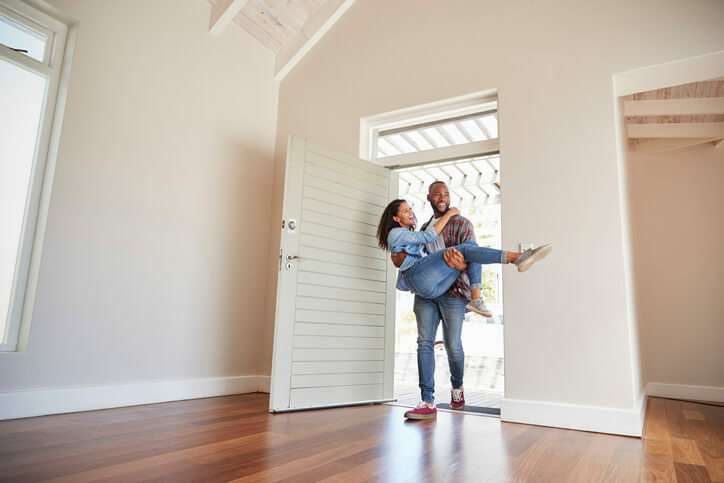 For newlyweds, saving money on moving costs is beneficial, but downsizing is also a way to save space and ensure both spouses’ possessions fit in the new home. Therefore, newlyweds should compare their personal item inventories while making united decisions about which items can be kept, sold, donated, or thrown away. Similar to movers, couples can expertly pack the contents of a home by following smart packing techniques with moving tips from UF Mover Guys. To pack properly, load boxes with larger, heavier items first, and then fill the remaining empty spaces with smaller items. Also, keep organized by labeling boxes with the names of the rooms in the new home for which the boxes’ contents are intended. Furthermore, couples who are renting a moving truck can ensure safe transport by loading heavier boxes toward the back of the truck and lighter boxes near the front of the truck to help keep the truck balanced. UF Mover Guys is a moving company dedicated to serving the relocation needs of everyone from newlyweds and families to college students and professionals. We deliver flexible yet high-quality moving services and are a provider of low-cost moving supplies, including boxes, tape, and packing foam. To learn more, contact us today!